At Aggregate Knowledge we are constantly concerned about our data space. 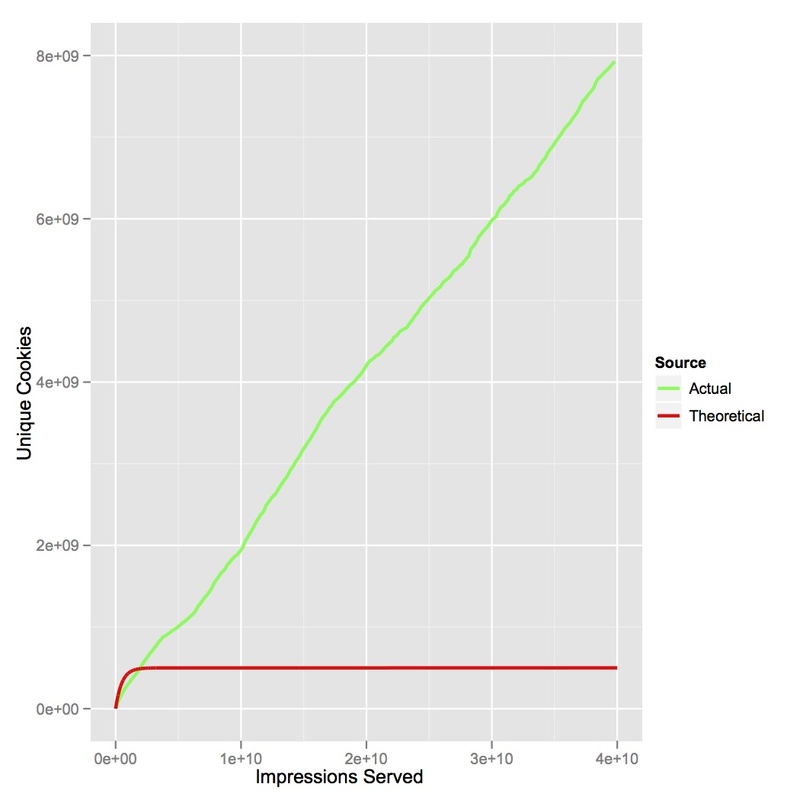 And since our most basic data key is cookies (cookie ids) we are very interested in how they behave. To that end we have done a ton of research into what the cookie space looks like in the advertising world and the web in general. 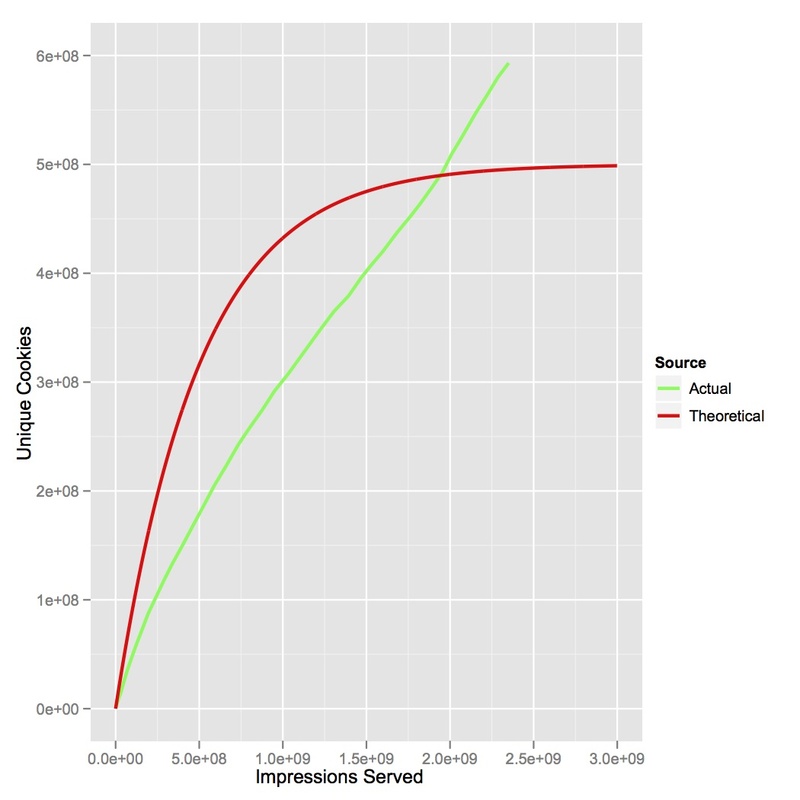 Understanding the basic behavior of cookies (count, ingestion rate, growth rate, etc.) is vital for our architecture planning. Here I will show you a view of the cookie space that we collect at Aggregate Knowledge and then take you through some of the research we are doing in the next few posts. What could this possibly mean? 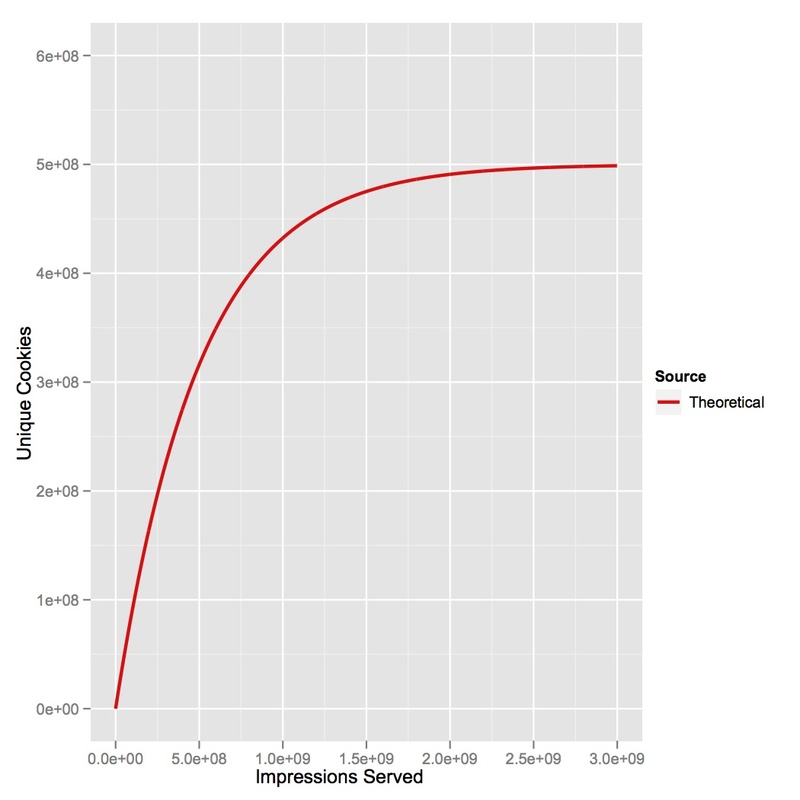 At 40B ad impressions we must have seen a significant amount of the cookies on the internet. So, whats going on? Well, we have some theories (robots, deleters, etc.) and over the next few weeks we’ll share some of our adventures in cookie analysis.